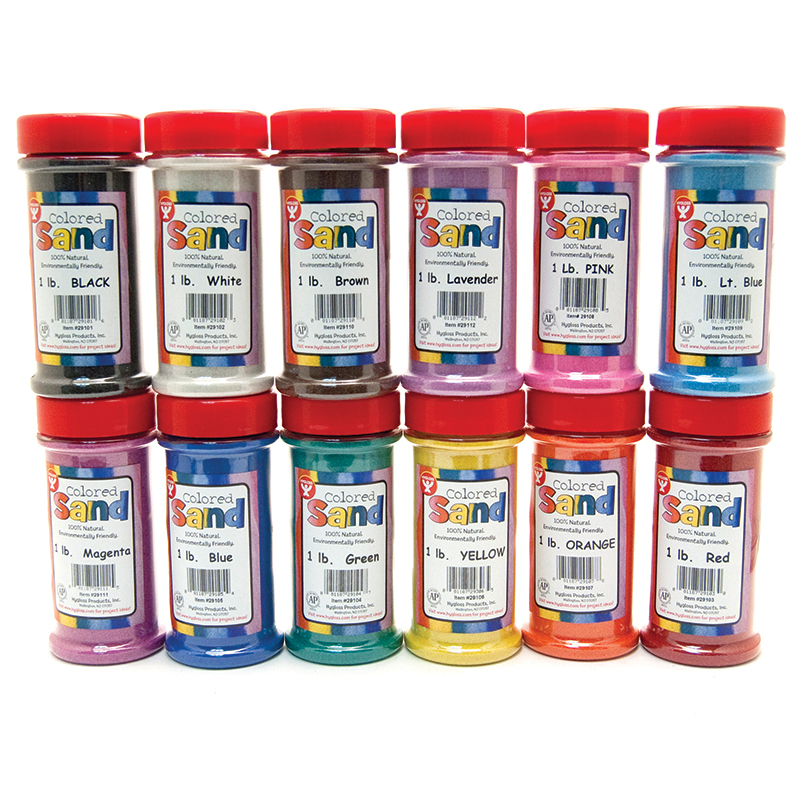 Sprinkle, layer and design with this bright rainbow assortment of colored sand. Use for card-making, texturing art, model scenery, jewelry and more. Bonds well with glue and adhesive paper. Each assortment includes 1 lb each of 12 colors: Red, White, Black, Peach, Emerald Green, Blue, Orange, Light Blue, Pink, Mauve, Yellow, and Brown. 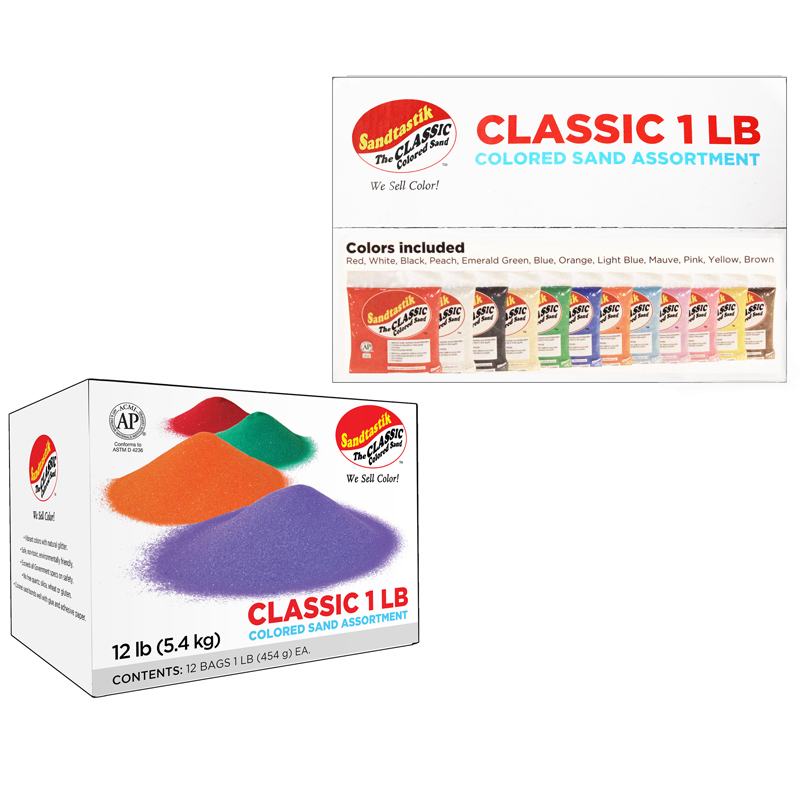 The Classic Colored Sand Assortment 1sandtastik can be found in our Sand product category within the Arts & Crafts.